People who suffer from a condition known as dry eye syndrome often experience quite a number of irritations with their vision. Dryness, a burning sensation and sandy-gritty eye discomfort are just some of the symptoms that seem to increase in sensation as the day progresses. In one such case, Rebecca had been suffering the condition for 3 years. The dry eye pain was described as excruciating during the day and caused problems with her sleep as well. At times, her eyes were so dry she literally had to peel her eyelids off her eyes, she said. Numerous trips to doctors and one to a dietitian produced no results. She decided as a last resort to try Acupuncture. Even though the initial treatments showed no marked results, she decided to continue with her program because of confidence in the acupuncturist. After 14 treatments that included Chinese herbs as well, her condition literally improved overnight. All of her symptoms disappeared and have been gone for over a year. All of the participants first received an artificial tears treatment. The Acupuncture and the SSP groups then each received two 20-minute treatments of Acupuncture or SSP. Several different measurement tools were used to determine tear production including the Schirmer’s test where strips of paper are inserted into the eye for several minutes to measure the production of tears. A variety of test results showed that both Acupuncture and the SSP electro-therapy treatments brought positive results. After just 4 weeks of treatment, both the Acupuncture and SSP groups showed improvements over the control group. Tearing in both eyes had improved during this time. After 8 weeks of treatment, both of these groups continued to show improvement over the control group. 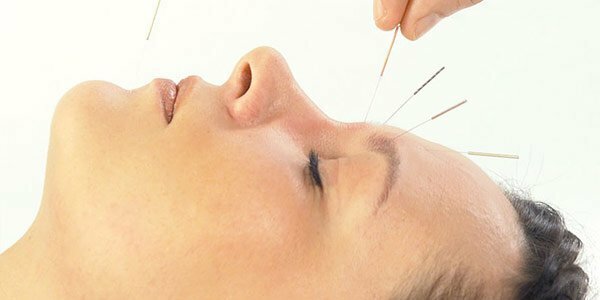 Overall, the Acupuncture group showed the greatest improvement in reducing the symptoms of dry eye syndrome. Interestingly, the SSP group showed the greatest overall improvement in the reduced need for artificial tear application. Rebecca, in the case study first reported in this story was so pleased with the results of her treatment that she embarked upon a study of Acupuncture. How’s that for a true convert! Source: Acupuncture.com, http://www.acupuncture.com/testimonials/dryeyes.htm and http://www.acupuncture.com/newsletters/m_apr06/res.htm#2 2006.